30" x 22", acrylic on paper. 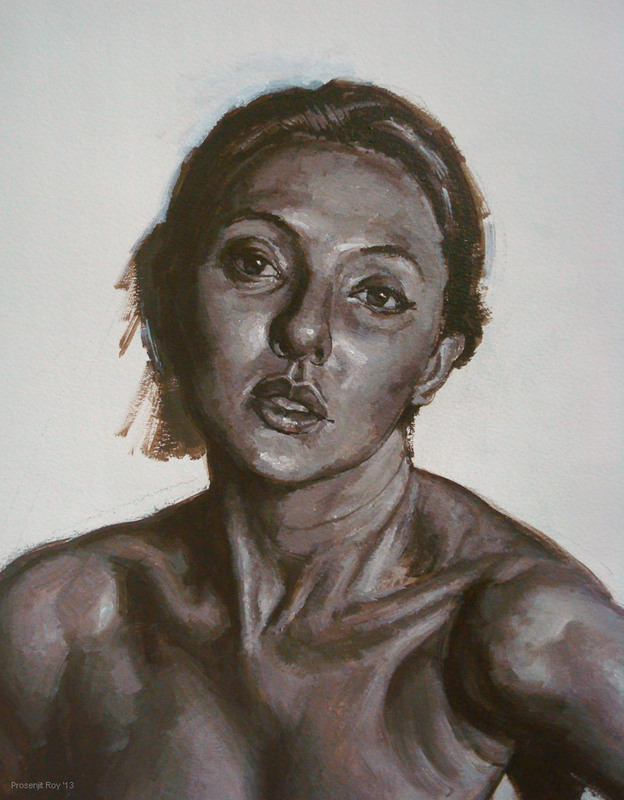 Palette: Burnt umber and Titanium White. Ref image by huitphotography in DA. The eyes have it... or not?